Ireland's woeful tour of India against the Afghanistanis continued as they were blown away by Mujeeb ur Rahman's virtuoso spell of spin bowling in the first ODI. Heading into the second ODI, Ireland will look to win their first match of the tour against a rampant Afghanistan side in possession of arguably the best spin attack in the world. With the World Cup on the horizon, Afghanistan will look to fine-tune their skills for the showcase event at the expense of the Irish, who would look to upset the upcoming giants of the cricketing world on Saturday. No changes are expected of the Afghanistan side that played in the first ODI. In Mohammad Shahzad and Hazratullah Zazai, they have one of the most dynamic opening pairs of world cricket with both of them eying for a long innings on Saturday. Rashid Khan and Mujeeb ur Rahman are certain to lead the way once again the ball while Dawlat Zadran and Gulbadin Naib's extraordinary performances in the first ODI should hold them in high regards. The Irish haven't been able to pick the spinners as well as they would like to and this has been the major reason for their downfall. Apart from Paul Stirling, none of the Irish batsmen was able to get in and bide their time in the crease with the likes of Andy Balbirnie and Kevin O'Brien failing to get going. The bowling unit looks settled with Boyd Rankin in good wicket-taking form to give his team a good chance of upsetting the hosts. Wicket-keeper: Mohammad Shahzad wasn't able to convert his start in the first ODI and should be backed to come good on Saturday with another action-packed innings. With the burly wicket-keeper amongst the best in the business within the powerplay overs, he is a must have player in the fantasy team. Batsmen: Paul Stirling and Hazratullah Zazai are must have players in the fantasy team while Rahmat Shah is also a great option to have in the side with his ability to keep the scoreboard moving in the middle overs. Andy Balbirnie and William Porterfield are also handy options to have in the side and could be included in case of an extra batting option. All-rounders: Simi Singh and Mohammad Nabi are the preferred all-rounders to be chosen while Kevin O'Brien is also a valuable option considering his experience. All of them are sure to have in say in the proceedings and are must-haves in the sides. 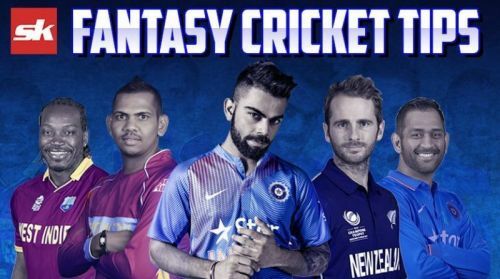 Bowlers: Rashid Khan and Mujeeb ur Rahman are a certainty in the fantasy team with their variations bound to get them a couple of wickets. Two of Boyd Rankin, Tim Murtagh and George Dockrell could also prove to be worth-while selections. Rankin was economical in the first match, which saw him pick two wickets as well. He could well continue his good form in the upcoming match as well. Captain: Mohammad Nabi was the star in the recently concluded T20I series with brilliant performances with bat and ball. Along with the opening pair of Hazratullah Zazai and Mohammad Shahzad, Nabi is one of the front-runners for captaincy.